The Center relies on private and public contributions, grants and sponsorships to support its programs. Although the Center is part of America’s national museum, the vast majority of our funding comes from program-related private and public grants, gifts, sponsorships, and bequeaths. Thank you to the following organizations and individuals who are helping us fulfill our mission. 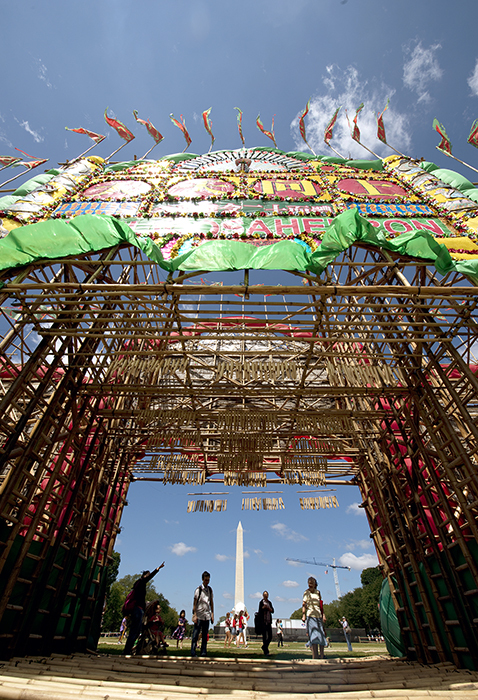 Visitors at the 2014 Smithsonian Folklife Festival admire the bamboo scaffolding of the Hong Kong-style flower plaque.